I became interested in printmaking in 1973, and started making prints. 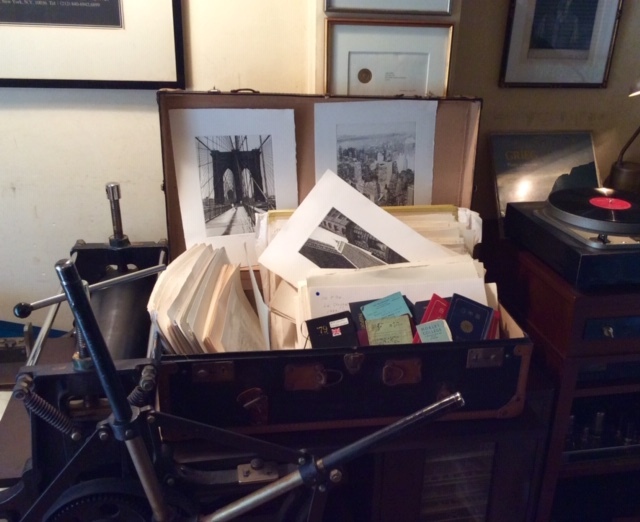 Since that time, I have produced 136 copperplate prints over a 45 year history. These works are produced with the oldest engraving technique, the intaglio technique; this technique is where the image is incised into a surface and the incised line or sunken area holds the ink that will produce the printed image on resilient printing paper. The feature of this technique is that it allows for the most precise and delicate expression by human hands, and also enables numerous sharp imaged prints. The lines are directly engraved on a copper plate with a V-shaped steel sculpture sword called a Burin; then, you fill the line with ink and wipe the flat part with a cloth, and then press it with a pressing machine to print it on the dampened paper. Precision is required for plate making, so the artist's advanced technical capability and an enormous time are required to produce the engraving. Proof-trial-proof productions are created several times to see how the engraved line is printed until one work is completed. I have filled in the year, month, and day each time I tried printing trial proofs over the last 45 years and saved them. If you look at proofs, you can grasp all the past production processes, and it will become clear which work I was producing. It will be fun to look back on the history of copperplate production by arranging the hundreds of trial proofs that I have “sleeping” in the old trunk. I became the age of the 70 years old in 2018, and in Japan we have an aging celebration during this year called Koki. Following the records entered in the old notebooks I have, and posting the trial proofs of the main work, let's look back the spectacular trajectory of my copperplate productions over the last 45 years. The “45 Years Retrospective of Copperplate Printmaking” is series of 12 written articles, and it is scheduled to be put on the website at the beginning of every month starting in March 2018.